BANGLADESH. Dhaka. 2009. 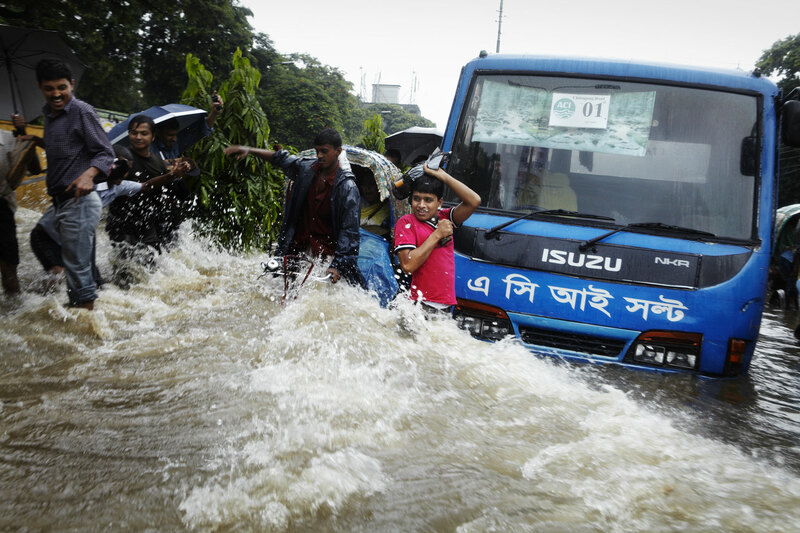 After a night of heavy rain, large parts of Dhaka experienced widespread flooding around the city. Here people are being splashed by the wake wave of a big truck that just drove through the water.